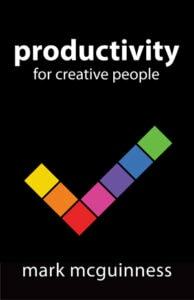 In my last article I looked at the problem of Foolish Productivity or Personal Taylorism, in which you become pseudo-efficient at the expense of your creative spark and your competitive edge. But there’s another problem with Taylorism, one that should matter even more to you. In my student days I spent a few months on the shop floor in my local Taylorist emporium, a factory manufacturing industrial steel chimneys. Clock in. Clock out. Put the steel tube in the machine. Align the seam with the notch on the machine collar. Make sure the entire rim is flush against the collar. Press the button. Take it out. Put the next tube in the machine. Align the seam with the notch. Do as you’re told. Faster, faster… I still remember the faces of the guys who had been doing it for twenty years. No-one could reasonably have blamed the factory workers if they had been ‘too busy’ to take a step back and do the hard thinking that saved a fortune on imports. And maybe no-one will even notice the next time you are reorganising your files, emptying your inbox or ticking off items on a to-do list when you could be doing something bigger and better. Have you ever got to the end of a day spent busily responding to demands from clients and colleagues, ploughing through e-mails and checklists, and asked yourself What have I really achieved today? If you’ve ever had the same feeling over weeks or even months, then you don’t need me to tell you about creative frustration. If you look at the best writers on time management and productivity, Personal Taylorism is not what they intended. They teach us to manage the small stuff in order to free ourselves for bigger challenges. Steven Covey tells us to prioritise ‘important but not urgent’ tasks over the ephemeral demands of the moment. David Allen recommends taking time out to look at your life ‘from 50,000 feet’ and ‘intuiting your life purpose and how to maximise its expression’. Leo Babauta reminds us to put the ‘big rocks’ into your schedule before the time is filled up with ‘pebbles and sand’. Tim Ferriss takes this to extremes, advising us to eliminate all tasks apart from the mission-critical 20% that delivers 80% of the results. So how does this apply to you in the context of the creative economy? What can you do to make the biggest difference – and reap the greatest rewards? Nothing someone else could do as well or better. Nothing someone else could do for the same price or cheaper. Nothing you do to feel ‘busy’ and justify your salary/invoices. Nothing that keeps you inside your comfort zone. It’s something only you can do – solving an unusual problem, or doing it in an unusual style, or both. Because it’s so distinctive you can charge more than the next guy for it. If you do it – and sell it – well enough, you don’t necessarily need to be ‘busy’ all day every day. It’s in ‘the zone’ where you find your greatest fulfilment. It’s a challenge that will fascinate you for the rest of your days. OK so what are we talking about? It sometimes goes by the name of ‘creativity’ or ‘innovation’. But while we like those terms, they can be ambiguous. There’s a tendency to equate creativity with creative thinking and to see it as wishy-washy daydreaming that doesn’t achieve much. So we propose the term Lateral Action. ‘Lateral’ means sideways or unexpected. Lateral Action means not just getting things done, but getting unusual, distinctive, valuable, creative things done. Lateral Action means getting up at 5am to write your novel before work. It means saying No to an ‘urgent’ meeting in order to fully explore a problem and think it through. It means letting the e-mails pile up until you’ve finished the critical first draft of a design. It means staying late and revising something everyone else thinks is ‘good enough already’. It means redesigning your business and your offering so that you are operating in a space where effectively you have no competitors. It means meeting the difficult, uncomfortable challenges head-on, and using all your ingenuity and determination to succeed. It’s second nature to someone like Marla. Rest assured, it’s also about fulfilling your professional obligations and being someone your clients and colleagues can rely on. But you can only really do this well by devoting most of your time and energy to your biggest creative challenges, day after day after day. Success can be about fame, money, status or other forms of external reward and recognition. It can also be about the fulfilment you get from using your talents to create something remarkable. Ultimately, your success and satisfaction come down to how much Lateral Action you are taking. Today. Have you ever struggled to find time for a creative project that was close to your heart (but maybe of no interest to people around you)? What was the payoff that made it worthwhile? What difference does it make to your quality of life when you spend even a few minutes every day on creative work you care about? This goes well with my post on fragmenting your workday. How interruptions slice your day into tiny chunks of productivity. When I wasn’t doing what I loved for a living I would come home and dedicate a couple of hours a night to do it. It isn’t something that I had to force myself to do, it was fun and the best part of my day. I think that can be a key factor, if you have to force yourself to try and do what you love in your spare time then you aren’t doing what you love. I agree. I was successful and miserable. Then I asked myself, “What’s the point?” As soon as I started cultivating my passion, it was like getting into the current of a river. I literally felt like I had gotten into the “flow”. Yes, it’s still ‘work’, but I get energy from it, instead of it draining me of energy. Agreed Mark. I would sum it up by saying that Lateral Action then, is stepping away from whatever auto-pilot is now in your life to intentionally design time for your creative soul to flourish. Wonderful series so far, and I am really enjoying your coaching. When I was writing my now-published book, (“Little Shifts,” which I originally self-published under the title “Open Here”), I remember having to push away all kinds of messages, internal and external. It is extremely challenging to complete big writing projects, because the voice that says “you really aren’t doing anything” gets louder, not softer, as you get further along in the project. Even the kindest friends start to glaze over after a few months of hearing “I’m working on the book.” After all, what’s the evidence? A paycheck? ha ha ha ha ha. You must champion yourself. The project must become the most important thing in your being. And surround yourself with powerful words that remind you that your vision is, really really is, what the world needs, no matter how it is received. You wake up one day and realize you have made yourself into an authority, by virtue of the belief you placed in yourself. I’ve been reading the recent posts with much interest, and this really brought it all together for me. At the beginning of the year, I was feeling like a Marla trapped in Lou’s body and surrounded by Lous. Fortunately, with a little inspiration from some true Marlas I have started trying to associate myself with, I’ve been pushing as hard as I can to build a writing business in my off hours. Its been difficult, and a little daunting, and I’m very slowly starting to see some of the benefits. But if nothing else, I’m feeling energized and passionate about something, which hasn’t been the case for a long time. Looking forward to the next post…. There are regrettably few companies that don’t actively punish the “Marlas,” (which is good for Marla, because it pushes her to go out on her own, which makes her a lot more money). We’re smack dab in the middle of a creative revolution, but it’s harder to see than the industrial one was. Two companies can look identical unless you’re on the inside and understand the dynamics. One leverages the creativity and imagination of its employees and one discourages them. The fact that the first organization thrives and the second fails will get credited/blamed on the 30-year-old CEO or the technology platform or the quality of the board of directors, but that’s not where the secret sauce lies. Chris – Amen re interruptions, the bane of the creative life. One of the sure signs that we’re on the right track is that it’s really hard to start with – we have to stick with it through the uncomfortable feeling before we get any sign of success – but that the more we do it, the more energy is released, to the point where we can get into effortless flow. On the other hand, when we are in foolish productivity mode, we start off by following the path of least resistance but the more we go on, the more drained we feel. Really enjoying this website – definitely my kind of thinking. Hope you all find it helpful and looking forward to more inspiration from the Lateral Action crew! About my website, I’m still working on it. Its that Creative Idea that I’m unable to crack, although the idea and approach is all sorted out. I’m Jack, who has stopped being complete. Who’s learning to evolve and let the chips fall where they may. I love your website, its like waking up in the morning to read the Bible. Great advice and very encouraging words. Always need such posts for a boost of motivation and encouragement now and then. I’ve started to blog in my own way, short and to the point posts. Still a beginner in the blog world. Posts like these tend to give me inspiration and reading them along with the comments also give me ideas to write about. Mark you are exactly right. Chris – great quote, the colonel puts it better than me. Wow, just read the article, I didn’t know the meaning of lateral action before but I really like this term. RJO – Poor Taylor! You almost make me feel guilty. Jani – We have Brian to thank for the term ‘Lateral Action’. Try doing one small thing every day to turn your ideas into reality. From my experience, it also seems that creative types are going the next step along the lines of Time Management 2.0, and they are inventing their own time management systems. From what I have seen, it takes some creativity, but it’s the only thing that really works for them. I am not an artist by any means, but I know that some are able to go past the conventional tools of the day, to come up with customized ways of assisting themselves. It seems that most (if not all) of the time management systems I have seen that are offered commercially aren’t designed for creative people — they are more likely to be used by engineering types. I read you book some time go and enjoyed it greatly. I love to find people who are looking to provide these custom solutions because it helps to give people a great example of how they can think about their own time management system as something that they own and can customize. I’ll mention your ebook on my site as an example of a custom time management system, and perhaps some more “creatives” will be inspired to be inventive in this area of their lives also. Thank you for this article and this blog. It is sorely needed in the productivity/personal development online space. You’ve inspired me to take on a personal project that has been bubbling. Thank you! Duff — great to hear that, it’s what we’re here for! I’m a late entry into the conversation. Your quotes from Steven Covey and others, combined with your insights about squeezing time into moving the important, creative objectives forward, really resonated with me. So often, we’re bombarded with “urgent” messages on the phone, the “urgent” need to answer emails, IM, the need for “Instant” replies to the messages on the Blackberry, unnecessary meetings, power lunches, all take up valuable time. Valuable time that could be more usefully utilized for what we know to be important. Covey reminds about putting first things first. Only we can decide what’s first. For me, it was painting and drawing. But once it’s decided, every effort, must be made to create the time for serious input in the #1 priority. I used to escape in a bookstore at lunchtime, work late at nights, sometime on long weekends. While at the same time, not forgetting family duties. It’s not easy, but doable, as so many entrepreneurs have shown. Thanks for the reminders. Errol. Exactly. Yeats called it “the fascination of what’s difficult”. Excellent article with resounding truths that made me take a step back and reflect. If I work on what is closes to my heart, first, it will unleash creativity, passion, and nourish my soul. It is this time, I am in the zone. In the past, when I operate in the zone, things get done. Lateral action occurs naturally. I have put other things in front of what is closes to my heart and the result is soul destroying. Thanks Marcy, yes sometimes its a lesson we learn the hard way. Hopefully not forgotten! Creativity * Produvtivity = Success be a better analogy? hope i could made my intention clear, no native speaker.